Most nonprofits face a similar challenge - they need their audience to first find them, and second, take action. Luckily, AdWords allows you to both target very specific audiences and also measure the specific action you need them to take. 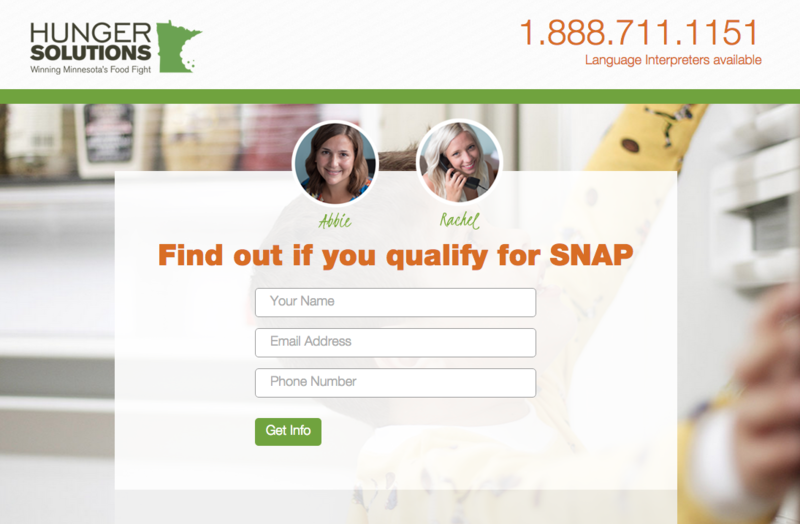 This case study is from a Minnesota-based nonprofit who helps connect those in need with food resources and information. One way this is done is through their Minnesota Food Helpline. 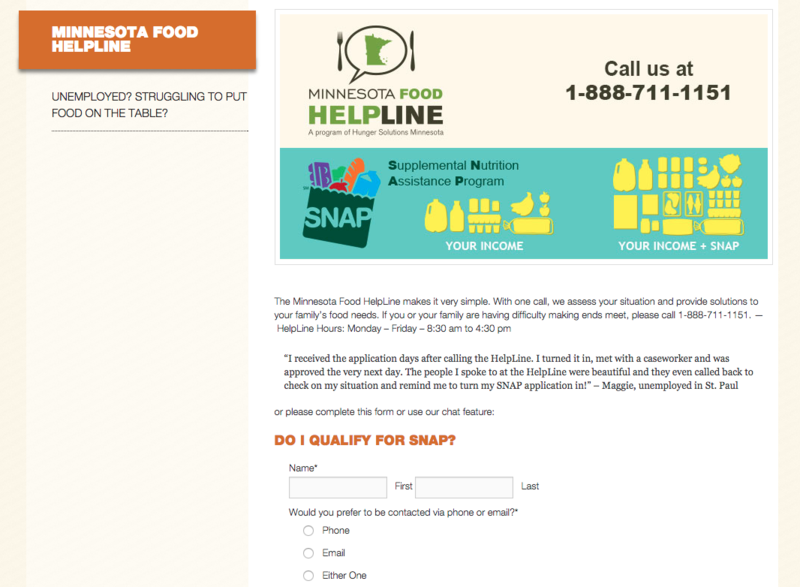 The Helpline has real people there to listen and point you in the right direction - whether that is to apply for SNAP (food stamps) or to find the nearest food shelf. The audience varies greatly from young families to elderly individuals. This means that the primary challenge is awareness and being in the right place at the right time - for instance, on Google when you type in 'Food Stamps Minnesota.' The secondary challenge is getting an individual to convert. For this campaign in particular, conversions were either web submission or phone call. Step 1: Conduct a thorough audit of their existing accounts. The audit was done for both the grant and paid campaigns. As a result of the audit, here are a few of the recommendations and changes we made for not only the Helpline but also any other awareness/donation campaigns they were running at the time. The existing landing page had a ton of information with no real clear path to action. Having the navigation accessible actually distracted users plus there were too many form fields. The new landing page we designed was a simple form with a few important qualifiers. It also features real pictures of the Helpline associates you speak with when calling. Here are partial snapshots of the landing page, before and after. As with any marketing campaign, you must continuously monitor and test your efforts. On a monthly basis we track clicks, conversions, budgets and other key metrics. We also A/B test ad copy and landing page variations. Don't have an AdWords account yet? Learn how to set one up. We offer free nonprofit adwords consultations by taking a quick look at your actual account. If interested in a free, quick consultation or engaging with us for a full audit like the one above, contact us.